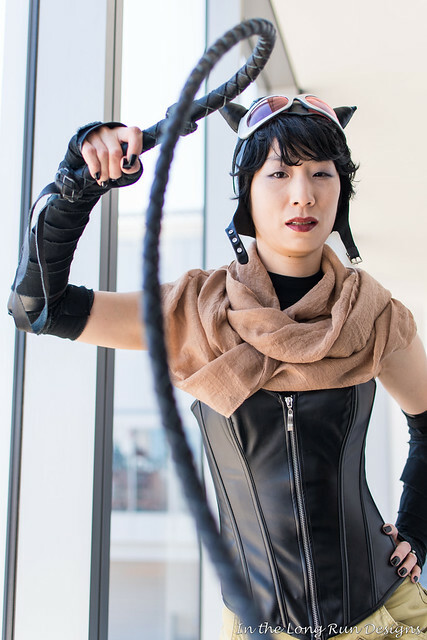 At PAX East this year, I did something I’ve always wanted to do, which is cosplay Catwoman for multiple days of a con. 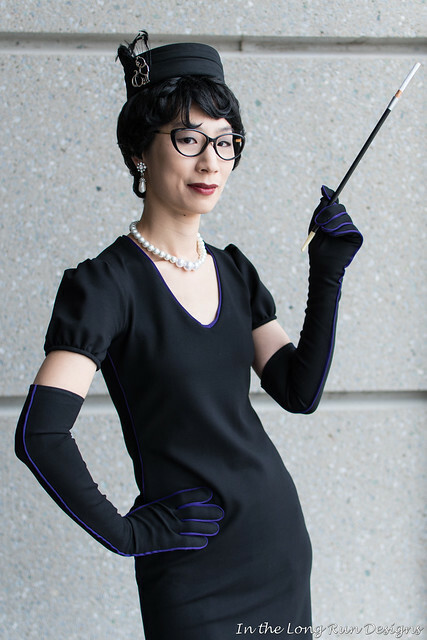 I have so many Catwoman costumes that I can wear several distinct looks back-to-back, which allows me to highlight the many facets of the character. 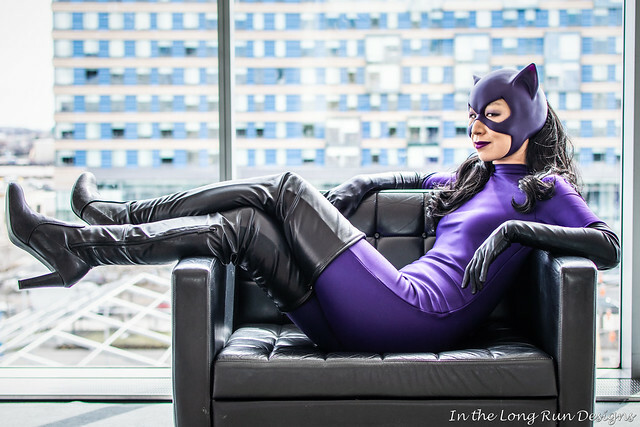 Catwoman was created over 75 years ago, and I love exploring her rich history. 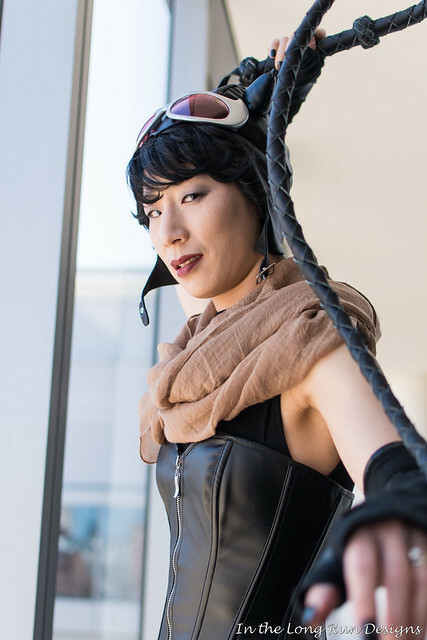 For this con, I chose “Knightmare” Catwoman for Thursday, DC Bombshells Catwoman for Friday, and Jim Balent-style Catwoman for Saturday. These are three very different takes on the character, and I love cosplaying each of them. The “Knightmare” Catwoman design is from the “Rules of Engagement” arc in the Batman comic, written by Tom King and drawn by Joelle Jones. 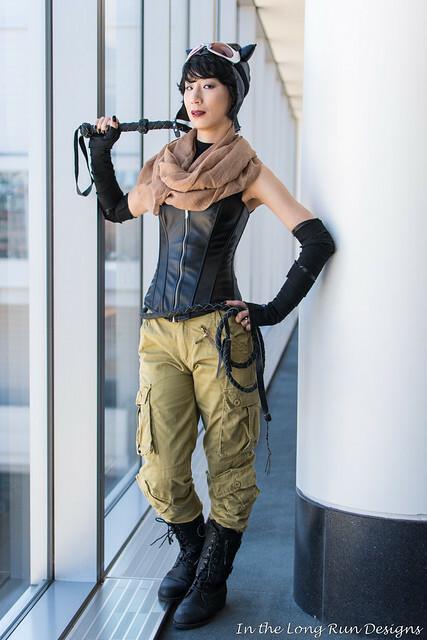 I whipped this cosplay up quickly for a photo shoot earlier in the year, but this was my first time wearing it to a con. It’s one of my more practical costumes! We mostly shot in a small area with large windows on the second floor of the convention center. The textured concrete wall in this photo is one of our favorite spots, as you’ll notice from our pictures throughout the weekend. There are not that many great backgrounds at the BCEC, so we’re usually shooting here or in front of the many plate-glass windows. Mike and I experimented with him holding the whip while we were shooting photos, to give the impression that I was cracking it at the camera. I love this silhouette shot. It was a beautifully sunny day outside, so Mike exposed for that. 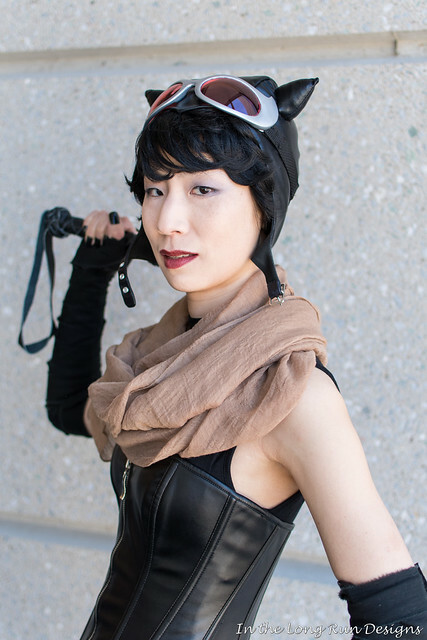 On Friday I wore my DC Bombshells Catwoman again. I had originally thought about debuting this costume at PAX East, but I ended up finishing it for Awesome Con the weekend before. It’s based on art by Ant Lucia. Mike had the idea to work with this chair that was in a sitting area on the third floor of the BCEC. The idea was to imitate the seated pose in the DC Bombshells Catwoman statue. I quite like the result. Unlike at Awesome Con, at PAX East I was allowed to bring my whip into the convention center (as long as it was checked by security). We took the opportunity to use it in photos. Then we went back downstairs to our favorite concrete wall. 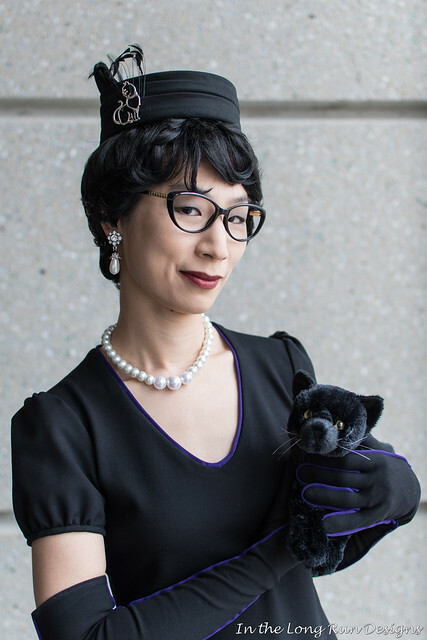 We had to get a photo of Catwoman with her cat! 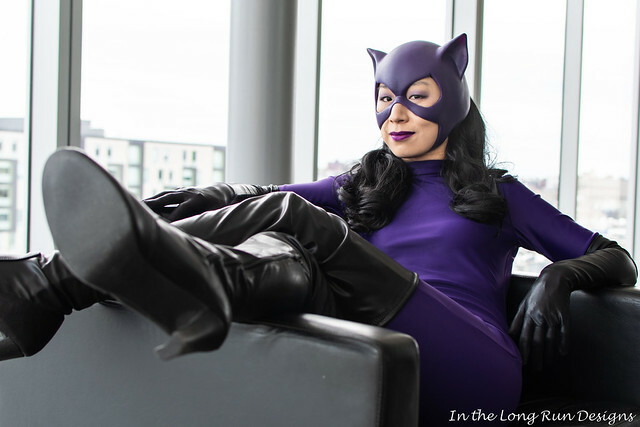 On Saturday I wore my purple Catwoman, based on art by Jim Balent. 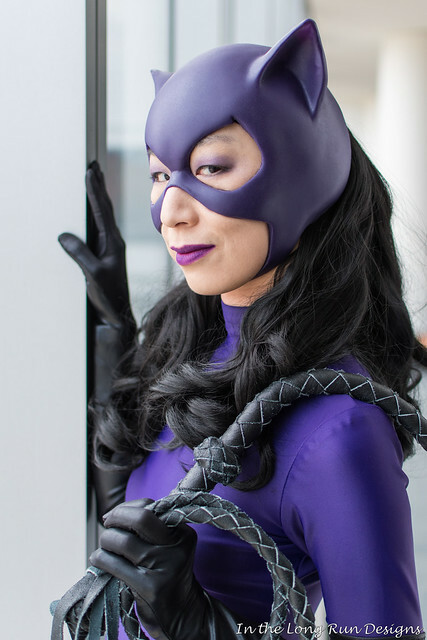 It’s such a classic Catwoman look. My cowl was made by ReevzFX. He matched the color to my fabric! After starting in our usual spot on the second floor, we went upstairs to shoot near the large windows. This led to some interesting lighting. 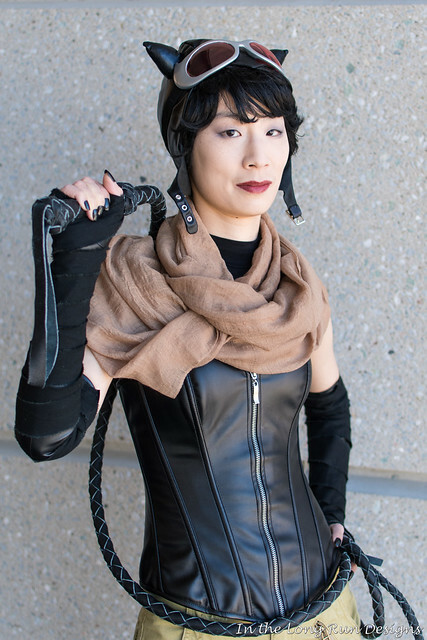 I had a fabulous weekend cosplaying Catwoman. 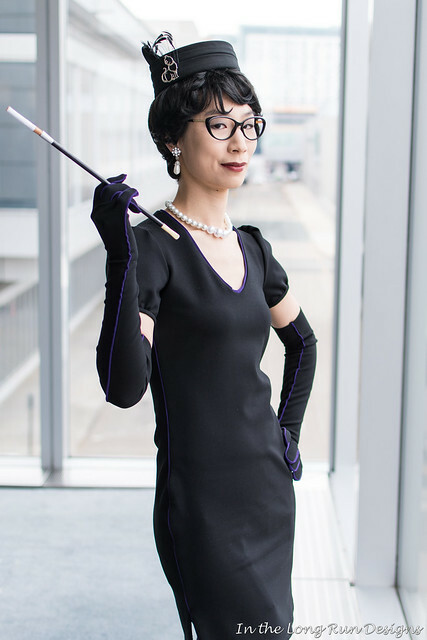 I hope to do the same at a future con, with even more different Catwoman costumes (fingers crossed for Baltimore Comic-Con)!